On Fire With The Spirit ! The church experienced its birth at Pentecost when the disciples of Jesus and many from all over the known world experienced the coming of the Holy Spirit (Acts 2). God’s spirit swept like a mighty wind across time, bringing transformation to many. 280 years ago, John Wesley experienced his “heart strangely warmed” at Aldersgate Street on May 24, 1738 giving birth to the Methodist Church. Itinerant pastors carried the fire of the spirit throughout North America. 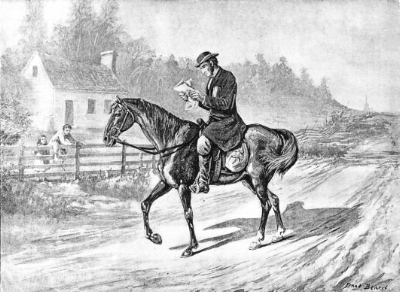 There were reports that as early as 1835, an itinerant Methodist pastor traveling on horseback held worship services along Gilliland Creek, which runs behind the church. The fire of the spirit led to a Methodist community holding its first worship service 95 years ago in Pflugerville on April 23, 1923. After many years of faithful worship, Christian service, and love that church disbanded in 1966. 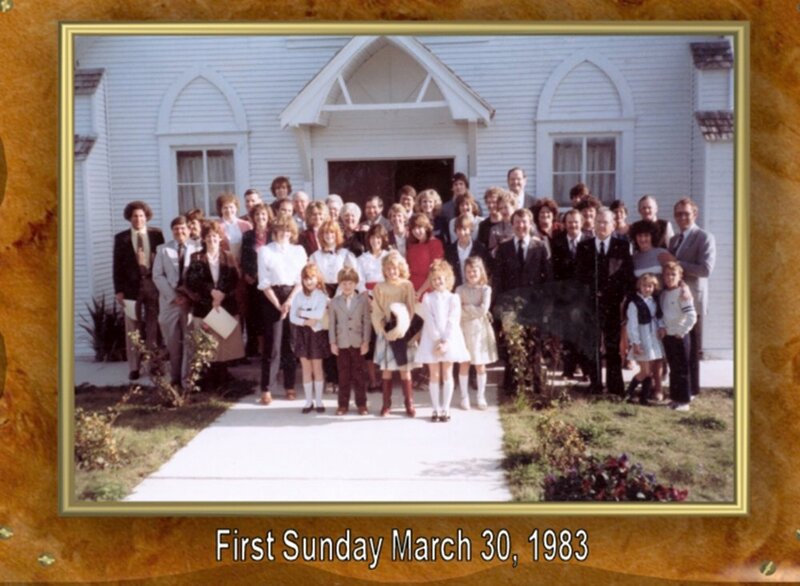 Then 35 years ago, that fire of the spirit got a spark again in the Pflugerville community and gave rise to the establishment of First United Methodist Church (PFUMC) on May 31, 1983. When the Holy Spirit came to the first believers on Pentecost, they were on fire for the Lord. That spirit leapt from heart to heart to heart and continues on to this time. Someone asked the first believers at Pentecost, “What does this mean?” What DOES this mean? Everyone experiences the Holy Spirit in different ways. Some in silence, some in rousing music, some in prayer, some in reading scripture, some in nature, some in worship, some in learning, some in service to others, some in giving, etc. This collection of stories describes the experiences of the fire of the Holy Spirit moving in the people and ministry of this community. It tells the stories of faith, hope, love, and service by the people who struggled, welcomed, cared, sacrificed, built-up, let go, and reached out to seek and share God’s love in this community and the world. They are doing it with God’s help through worship, Bible studies, children and student ministries, Pecan Street Preschool, Paula’s Food Pantry, early response and mission trips to disaster areas, Habitat for Humanity, food for the homeless, Help for the Congo, 40 Days of Prayer, Go Day, small groups, Servant Angels, Methodist Men, and many more. The stories are included to inform who we are, why we are here, what we value, and where we are going in ministry. In this time that can be so divisive, our prayer is that we are one in the spirit and one in the Lord, and that we will be God’s witnesses to a hurting world. We pray that this church will always be Christ’s church. Also, we pray that we experience the fire of the spirit as we make disciples of Jesus Christ for the transformation of the world. This story is dedicated in celebration of all of these things, as well as the 35 years of ministry since the charter signing for First United Methodist Church, Pflugerville, Texas, on May 31, 1983. It is the continuing story that we celebrate on Pentecost Sunday, May 20, 2018. Thanks to all the people who contributed stories for this history project. The History Team members who have compiled this are: Linda Clements, Donna Coppedge, Denise Cornelius, Jack Foreman, Donn German (Leader), Gene McConnell, Kay Monzingo, Holly Taylor. For corrections or updates to the "On Fire With The Spirit" contact Donn German, website developer, by email to historian@pflugervilleumc.org. Thanks to Donna Baldwin for gathering photos through the early church history and to Jack and Decca Foreman for their photos since 2000 for the more recent history. Thanks to donna baldwin for collecting early photos. Major Contributors: Rev. Richard Heacock, January 26, 1976, and Mrs. Maudine Ward Denton, personal reflections, January 2018. Compiled by Donn German. Pflugerville was a farming community settled mostly by people from Germany. The people spoke German in services in the first Lutheran Church buildings built in the 1870s. Family names were Pfluger, Kuempel, Wieland, Klattenhoff, Weiss, and Bohls. As early as 1837, a Methodist circuit rider held worship services along Gilleland Creek in Pflugerville, possibly near the present First United Methodist Church. The Methodists met in homes or schoolhouses until 1923. Land was purchased for the church by Maudine and William Harm Ward, of the Ward Dairy west of Heatherwilde; Mr. and Mrs. Hiram C. Ward, who ran the telephone office; and Larue Noton, a realtor. They liked the site because it was at the top of the hill. There were only a few small houses around it then. It was located at the corner of 2nd Street South at W. Hoopes where the Old Town Park is now located. It faced east with a grassy area north of the building. In 1923, the Methodist congregation of the Pflugerville community awarded the contract for construction of a two-story wooden church building at a cost of $2,500. Classrooms were on the first floor and the sanctuary on the second. It had a bell tower on the front with two staircases leading to the entrance. The first services were held on April 23, 1923, with Rev. J. E. Buck as the pastor. There were 70 members plus the children. Rev. Richard Heacock then became the pastor who served the Austin circuit. Some family names in the church were Ward, Pearson, Carrington, Heacock, Fowler, Fyke, Southern, Shafer, Jennings, Gustafson, and Newenschwander. Mr. William H. Ward and Mr. Hiram C. Ward were the trustees and Mrs. H. C. Ward was the church secretary. Mrs Maudine Ward was treasurer. Rev. Heacock said this about Maudine Ward, “How I remember the dark, flashing eyes of Mrs. Maudine Ward as she taught her class and discussed before the whole assembled Sunday School! She and others were an inspiration to this young 25-year-old preacher then." Mr. Newenschwander was the caretaker of the church and opened the building for services and activities. One of the issues that the church dealt with in the 1920s and 1930s was unification with the African Methodist Episcopal Church (North). Rev. Heacock was for it, but some of the local church members were generally against unification in 1925. The unification finally occurred in 1939. The church was a source of help for people in the area during the Great Depression of the 1930s and welcomed men from the Pflugerville CCC Camp at the west end of town. The church had worship services Sunday morning and evening and Wednesday evening. Maudine Ward Denton remembers when she and her two brothers and sister were baptized on Easter Sunday. Following the service the church had a picnic on the grounds with music and an Easter egg hunt. The children had a lot of fun playing. She also remembers going with her father, Tom Ward, to pick up a trailer load of watermelons and having watermelon parties after church. At other times she and others would climb the nearby water tower. By the 1960s people were going to church in Austin or other churches in the area. The Pflugerville church membership dropped to 20 with average attendance of 12 in Sunday school. Rev. Henry C. Newman was pastor. This further declined in 1966 to membership of 12 and Sunday school stopped functioning. The population of Pflugerville was 452. In November 1966 the church decided to disband, and 14 names were removed by the order of the quarterly conference. Rev. Heacock tells this story: After the church disbanded in 1966 there was no active congregation at Pflugerville and no use of the building. In 1971, Dr. John Donoho, the district superintendent of the Austin District gave permission to a federal agency to distribute welfare from the basement of the church building. Some African Americans would be among those served, and some worked there as well. The neighborhood and the mayor objected to this. The agency moved in their equipment and went home for the night expecting to return for work the next morning. Unfortunately, the building burned to the ground that night. It was widely thought that townspeople had started the fire, but no one was charged. Pflugerville Mayor Victor Gonzales attended worship on Sunday May 20 and presented the following proclamation for FUMC 35-Year Anniversary Celebration. Now, therefore, be it resolved that, I, Mayor Victor Gonzales, do hereby celebrate the FIRST UNITED METHODIST CHURCH OF PFLUGERVILLE and honor the history and accomplishments of First United Methodist Church of Pflugerville leadership and membership, both past and present, as part of Pflugerville’s rich spiritual history and ongoing communities of faith. In Witness Thereof, I cause the Official Seal of the City of Pflugerville to be affixed this 20th day of May, 2018.